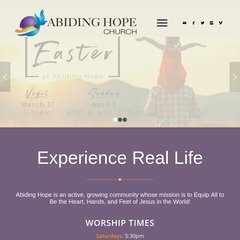 Topics: Abiding Hope - Castle Pines, and Abiding Hope. Age: It went live on September 23rd 1999, making it over 18 years, 6 months old. Internetnamesforbusiness.com Florida is the location of the Apache server. Its local IP address is 216.251.43.98. There are 2 Nameservers, ns1.twtelecom.net, and ns2.twtelecom.net. PING www. (216.251.43.98) 56(84) bytes of data.